From the 17th through the 19th of August, the three giant marionettes from Royal de Luxe will tower over the narrow streets – and the water – of Leeuwarden. On ten distinct routes, the marionettes that will act out a story on the cobblestones and alleyways – and waterways – of Leeuwarden are the three-story-tall Diver, the Little Giant Girl, which is half as tall as The Diver, and Xolo the Dog. 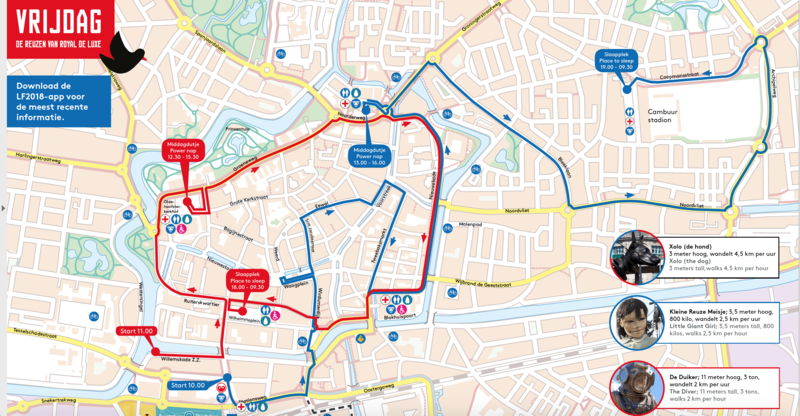 Some of the routes will feature multiple puppets, even though the press release for the event declares that Leeuwarden’s streets are the smallest that the giants have performed in to date. Artistic director Jean-Luc Courcoult writes a story customised to reflect the history and culture of their city stages, and the Leeuwarden-Friesland tale is called “Big Skate in the Ice.” The relationship of the Frisian people with the water and Leeuwarden’s status as the start and finish of the beloved and increasingly rare Elfstedentocht inform the plot of the three-day-long performance. The three massive puppets will trace a route through the city inspired by its connections to the epic ice skating race. None of the giants, whose faces and bodies are moved by a constant stream of people running and jumping around and off of them with ropes in hand, will get up to very fast speeds: the Diver can only move two kilometres an hour, and the Little Giant Girl is a little quicker at 2.5 kilometres per hour, but Xolo is the “fastest” of them all, clocking in at 4.5 kilometres per hour. Friday: Xolo the dog and the other marionettes will wander paths through town that appear to be just missing each other, or perhaps setting them up for chance run ins. Xolo will appear along the routes of both of the humans. 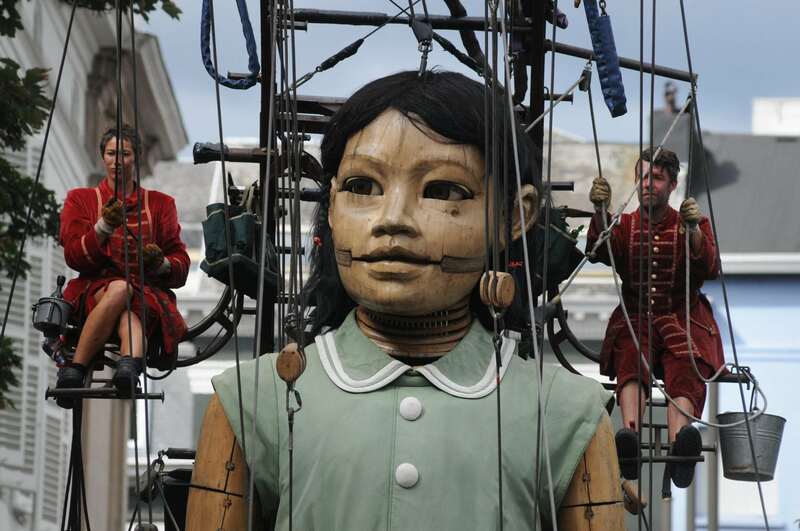 On Friday, the two human marionettes characters will start out relatively close to one another in the city: at 10 a.m., the Little Giant Girl will start her journey near the Leeuwarden VVV on the Sophialaan and then walk toward the main train station.  From there, she will turn left along the Stationsweg and then wind her way through the city before pausing for a “power nap” from 1 p.m. until 4 p.m. at the Noorderweg. 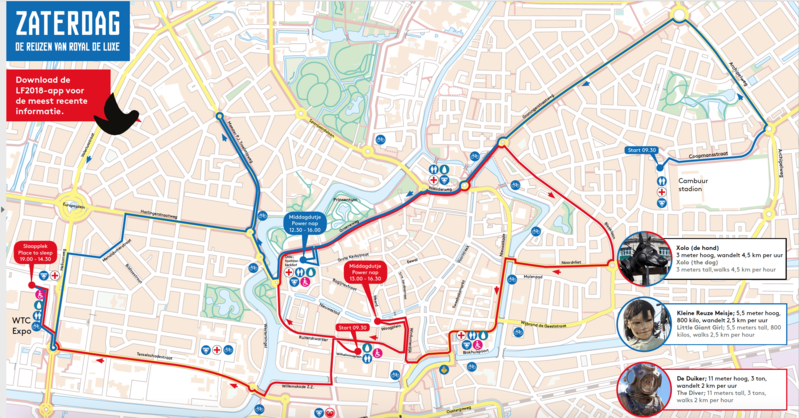 In the late afternoon, she will make her way out of the city centre toward the Cambuur football stadium, where she will “sleep” for the night. 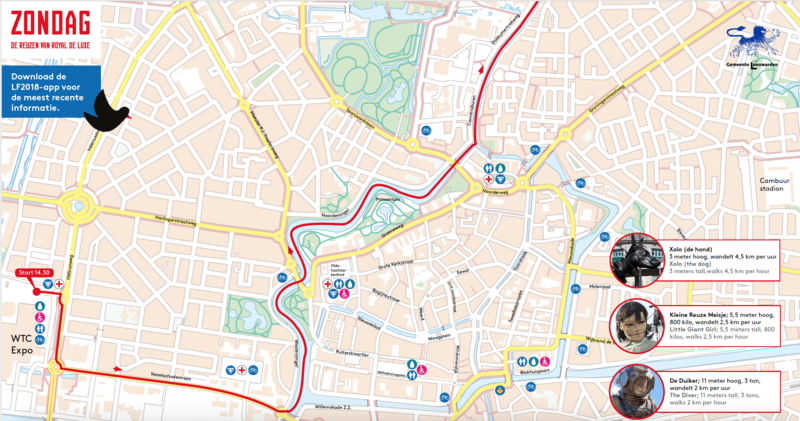 The Diver will begin walking at the Willemskade at 11 a.m. and head toward the Oldehove church yard, where he will stay until 3 p.m., and then he will make a big circle around the city centre before finishing up at the Wilhelminaplein at 6 p.m.
Saturday: The next day, the girl will and the diver will ultimately find each other at the WTC Expo after he retraces some of his steps from the day before and then leaves the center along the Tesselschadestraat. 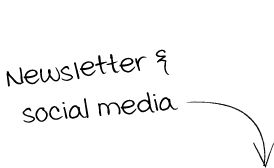 Her route will bring her back through the heart of town, then up and down the Meester P.J. Troelstraweg, the Harlingerstraatweg, the Menaldumerstraat and the Heliconweg before uniting for the night at 7 p.m.
Sunday: On the final day of the performance, the route for all three marionettes will take them onto the beloved waterways of the city. Although the diver is clearly dressed for the occasion, and dogs across Friesland love a good swimming session, given the ice skating inspiration for the story, it seems likely that the three giants will glide their way out of the city on the surface of the water. Starting from 2:30 p.m. on Sunday afternoon, all three marionettes will make their way to the Westersingel, where they will take to the waters flowing past the Prinsentuin and leave the city via the Dokkumer Ee. You can read our full story about how best to get to the city and see the giants here, but the main take away is that visitors are encouraged to come to town via public transportation as much as possible. The city centre and the routes the giants will be walking will be closed to traffic and bikes alike. If you are coming by car, there will be 14,000 extra parking spots outside of the city and shuttle buses every five minutes to bring spectators into town. The giant’s story will unfold starting next week, but the Leeuwarder Courant reports that some residents living near the WTC Expo, where hundreds of volunteers are practicing with the giants to make sure they can perform their choreography, are being driven to distraction by the monotonous instructions – “left foot, right foot”. The giant rehearsal are not the first supposed noise disturbance connected to the Capital of Culture year: Welcome to the Village had to pull the plug on its Thursday night performances due to noise complaints, and a strip of road “singing” the Frisian anthem outside of Leeuwarden turned out to be so annoying to local residents that it was removed within days of being installed. Since 1993, the Royal de Luxe street theatre company has operated their elaborate mechanical marionettes in city-consuming shows across Europe, Australia, South America and Canada. Royal de Luxe’s marionettes are one of the more spectacular events of the Leeuwarden-Friesland European Capital of Culture 2018 year. Other highlights include the Tall Ships Race, Conference of the Birds and De Stormruiter.